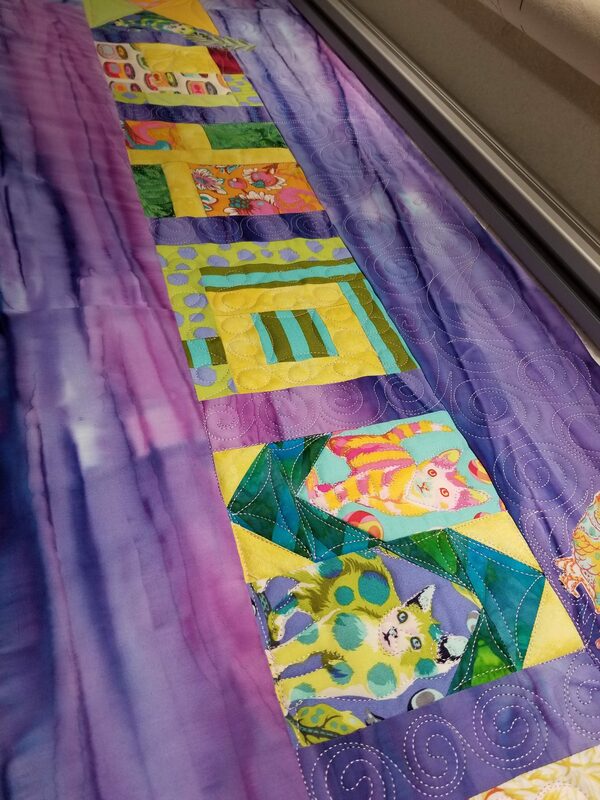 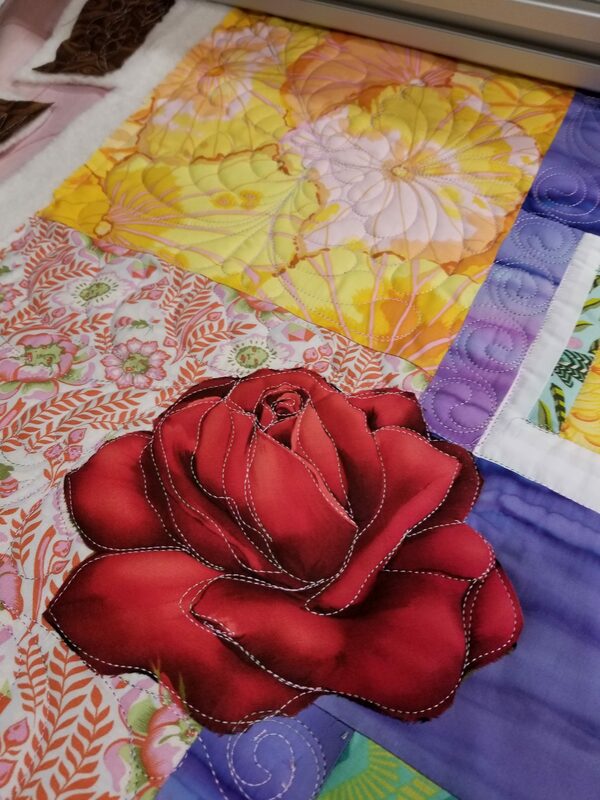 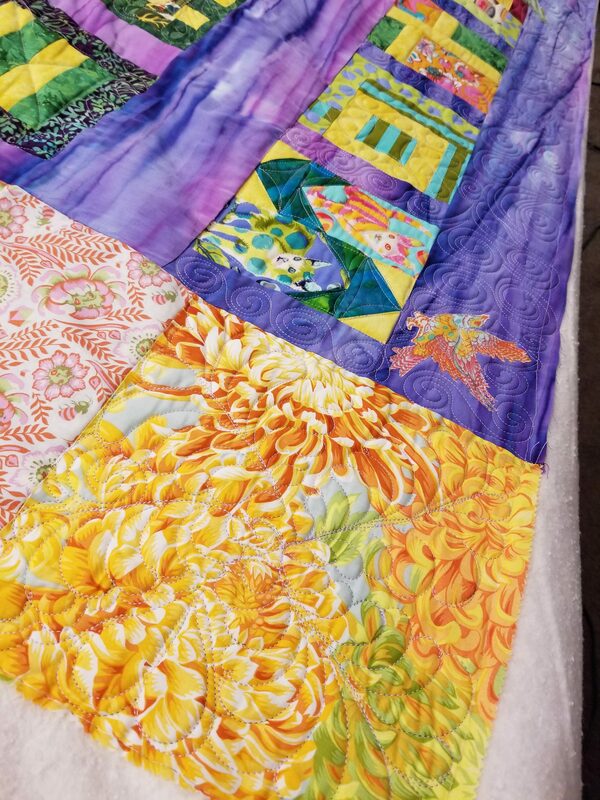 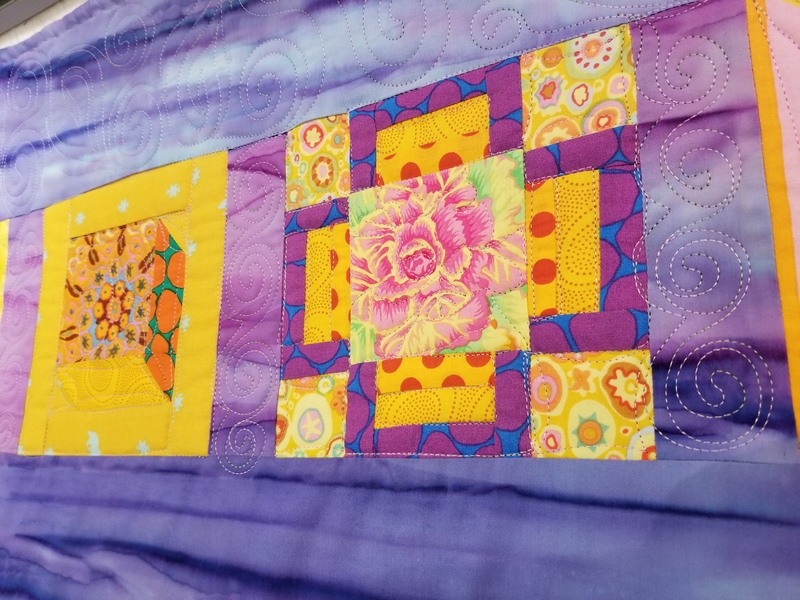 At the beginning of the year, my friends Pam, Maureen, and I decided to make the same quilt by Tula Pink. The book with the entire pattern is called “Tula Pink’s City Sampler: 100 Modern Quilt Blocks. 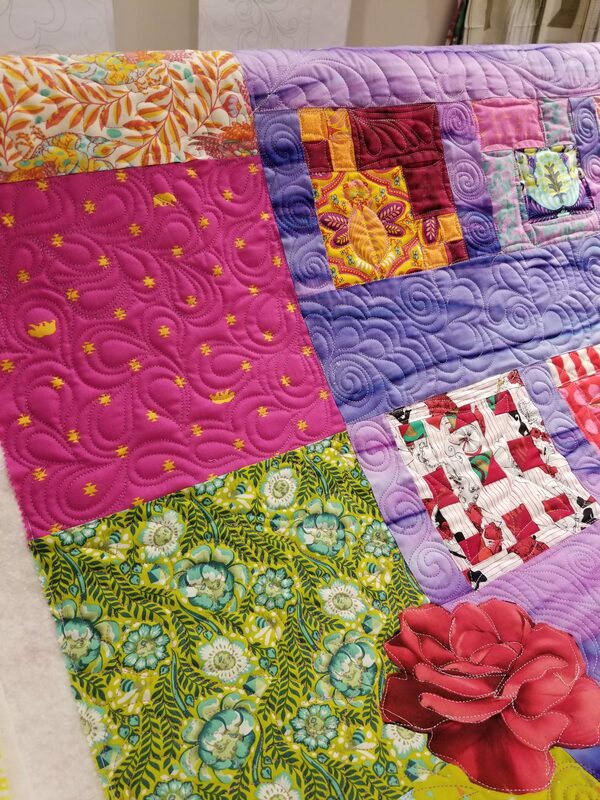 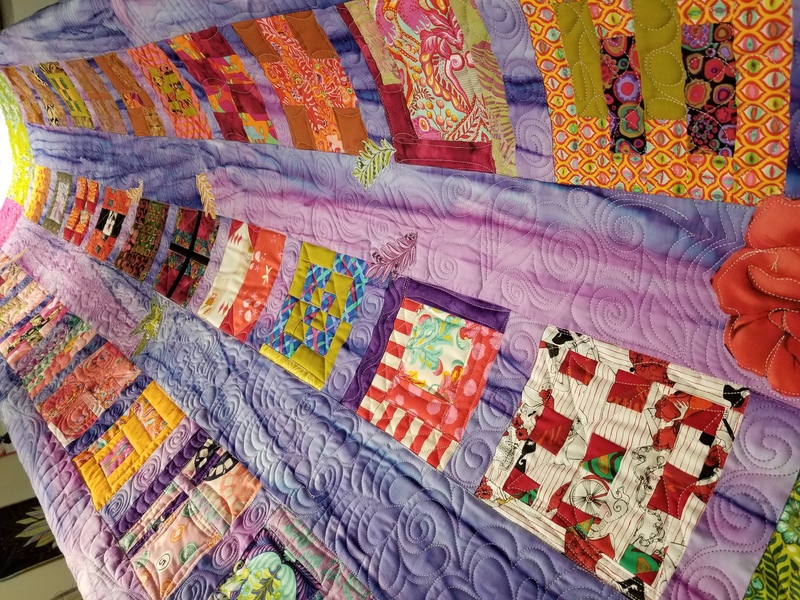 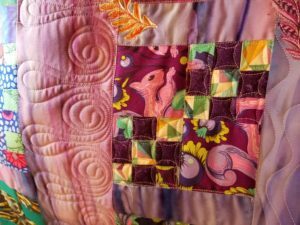 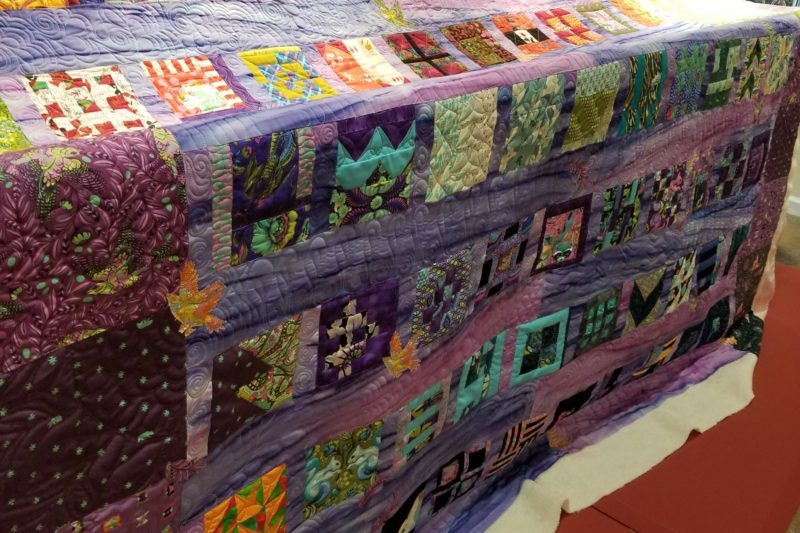 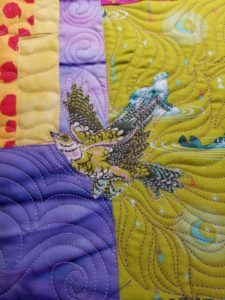 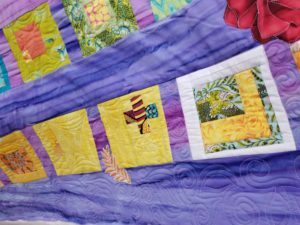 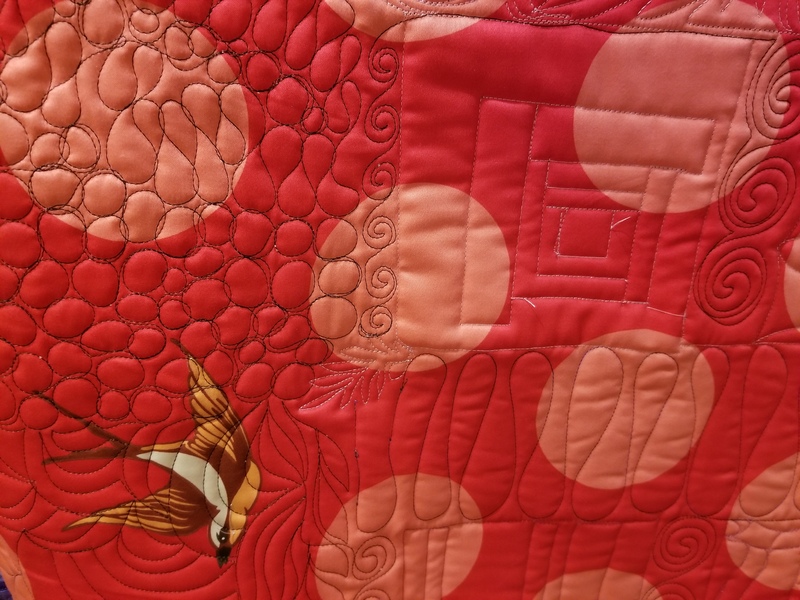 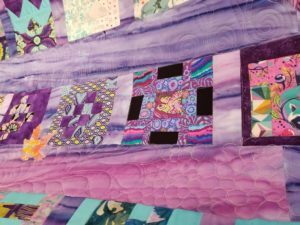 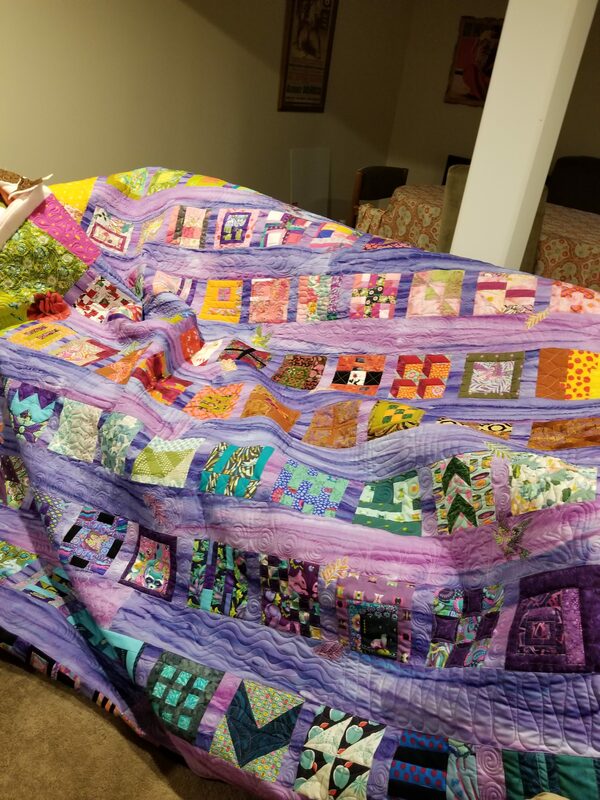 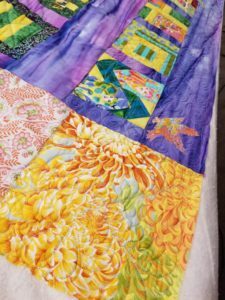 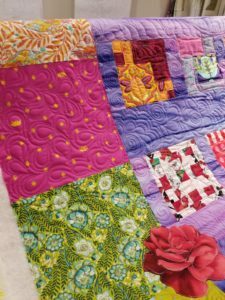 The quilt calls for 100 blocks unfinished at 6 1/2″ and finished at 6”. 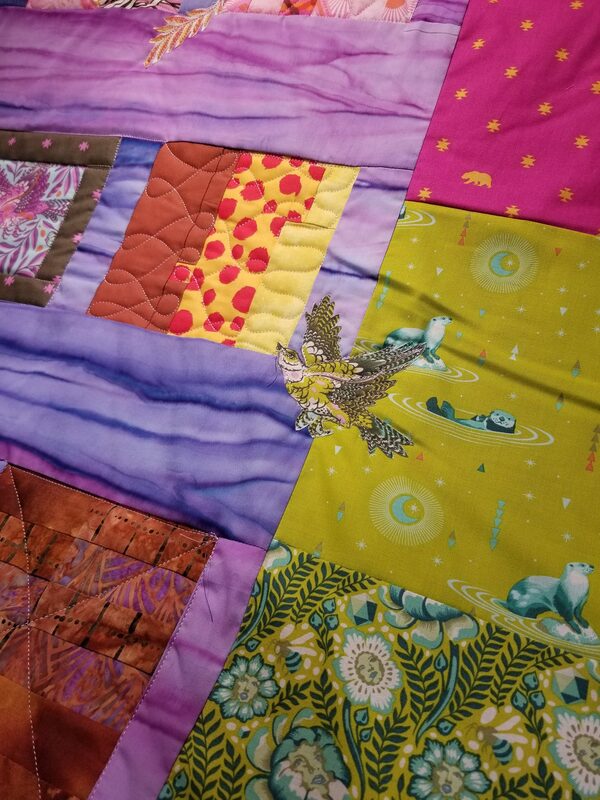 There are several options in the book for finishing the quilt, and I loosely used the City Planner layout. 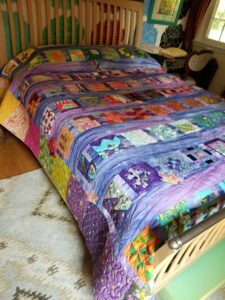 One of the guidelines we gave ourselves was no repeat fabrics. 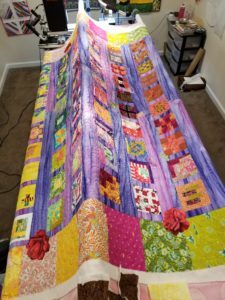 We share fabrics and exchanged ideas on the best way to tackle this large project. 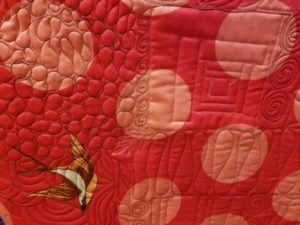 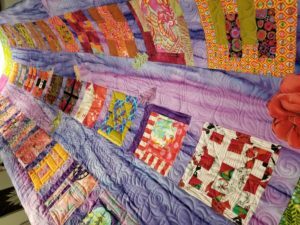 The hope is that we all make the same pattern, use the same fabrics, but make entirely different quilts. 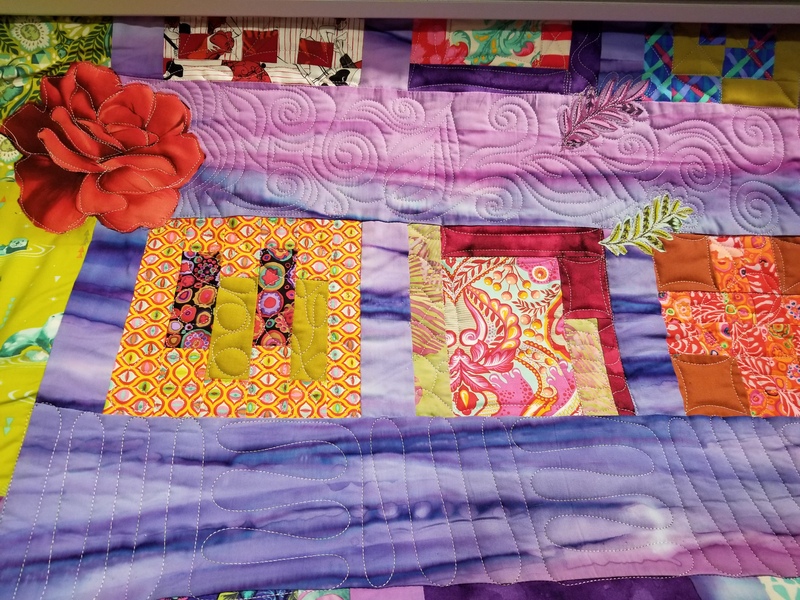 All of our quilting styles are completely different , so it’s going to be fun to see what we all come up with. 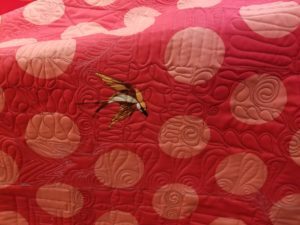 I finished my quilt first in August of this year. 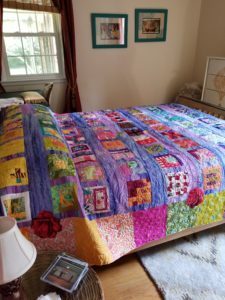 Pam will probably be done soon and Maureen after that. 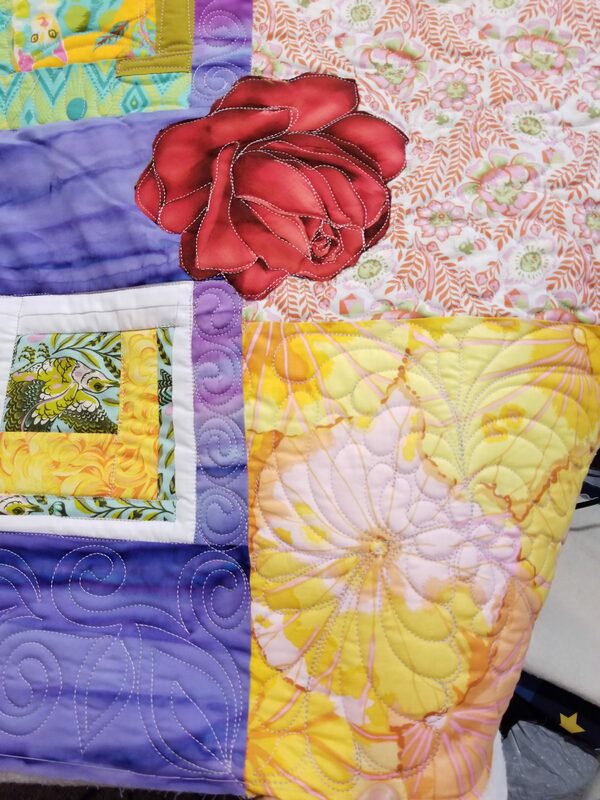 I will long arm quilt all 3 quilts, it will be fun doing different designs on all of the quilts. I’m including some pics below of the work in progress; the last few pics are the completed quilt on a queen size bed. 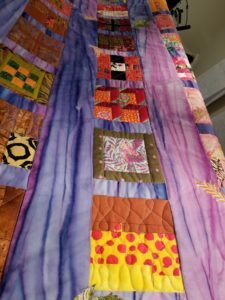 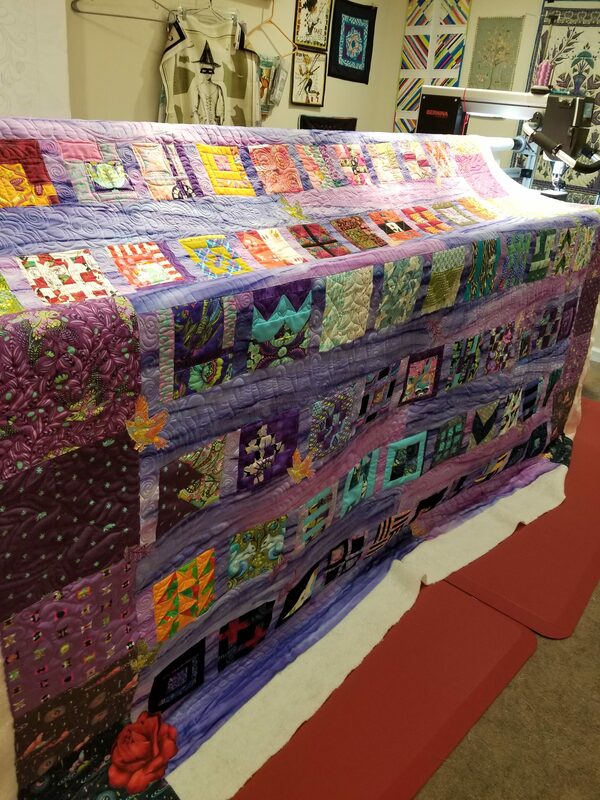 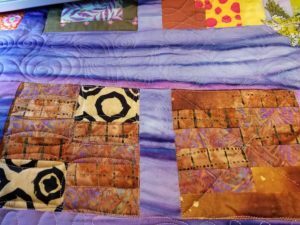 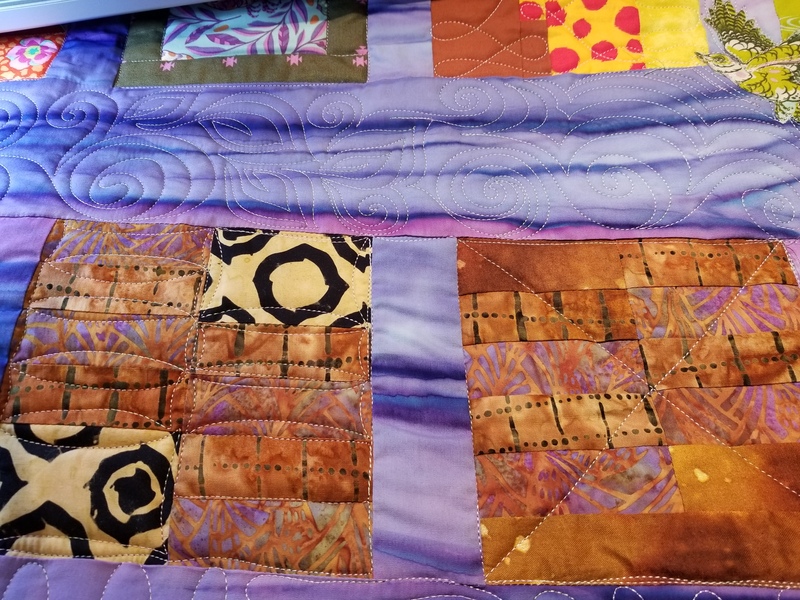 I wanted the quilt to have overhang so I added 10″ blocks to the edges. 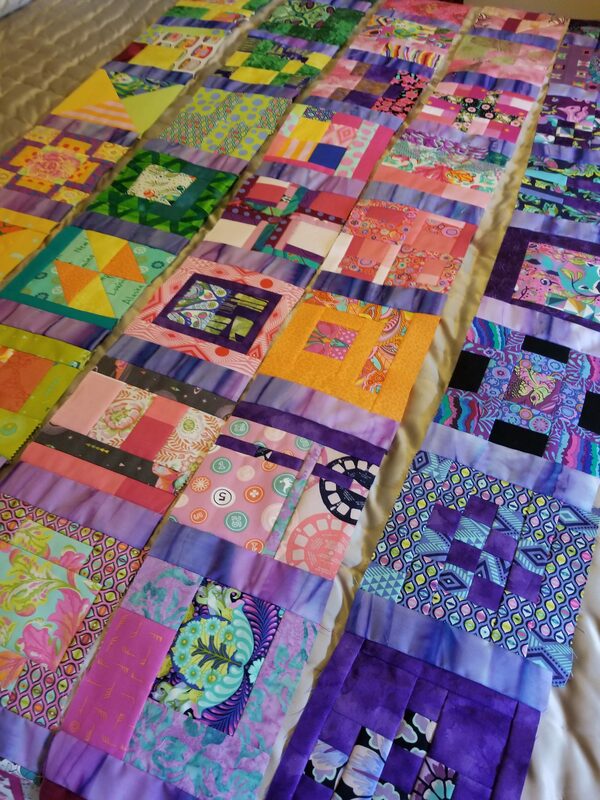 Work in progress, laying out the blocks with sashing. 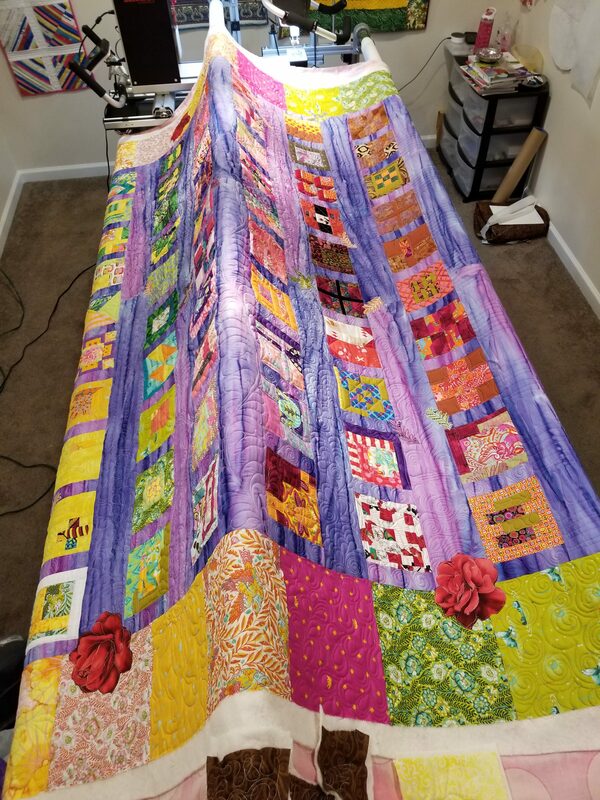 Completed quilt laid out on the sofa.